Congress should provide incentives to states to change school funding formulas that often shortchange districts serving the most low-income and minority students, according to a report released Thursday by the U.S. Commission on Civil Rights. As poverty becomes increasingly concentrated, the report notes, education funding disparities often leave schools ill-equipped to provide students an adequate education. 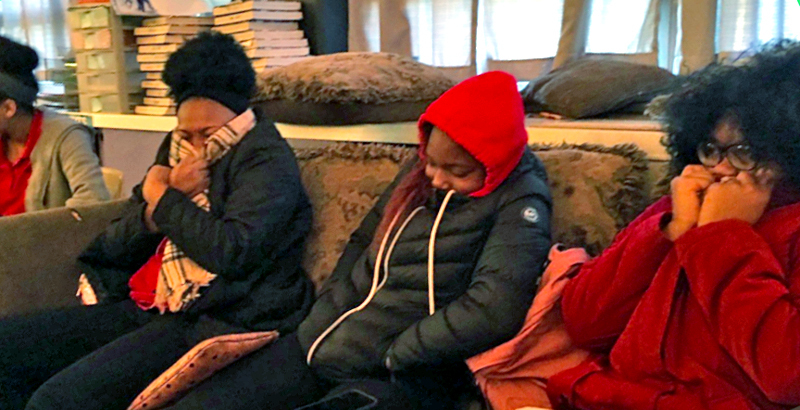 The report, Commission Chair Catherine Lhamon said, is “distressingly topical” as public outrage mounts in Baltimore, where schools closed last week after 60 buildings reported heating problems “after years of insufficient funding.” Before the closures, students were attending classes wearing coats, gloves, and hats. Beyond Baltimore, the report notes, funding inequities leave cash-strapped schools without adequate access to effective teachers and technology. Often, these schools fall short on the most basic classroom supplies like textbooks, desks — and even toilet paper. The education finance systems in most states, Lhamon said, do not take into account the actual costs associated with providing a high-quality education. A new National Center for Education Statistics report shows that public education expenditures ticked upward by $18 billion during the 2014–15 school year, though state spending on schools continues to vary widely between states. New York spent the most, at $20,744 per pupil, while Utah spent the least, at $6,751 per pupil. Given that school funding inequities have long been a topic of concern and debate in education circles, Lhamon acknowledged that the recommendations face an uphill battle under the Trump administration, which has proposed cutting the federal education budget.